Well, eventually we all need to send out one of these--a sympathy card. 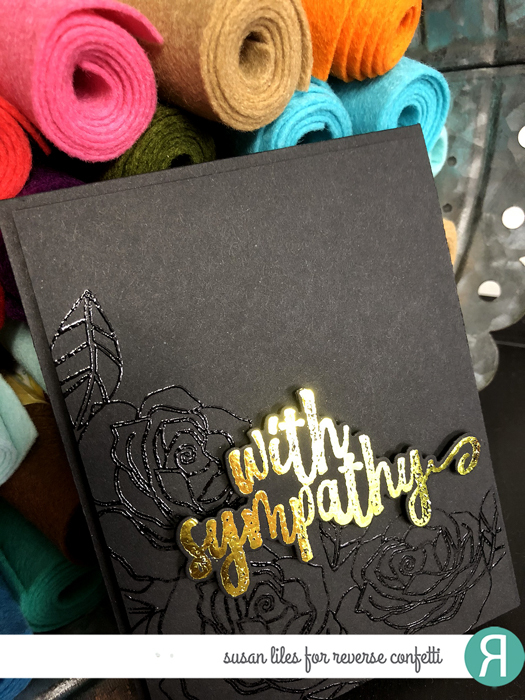 As much as I don't like to make them, I had a request for one, so this is what I came up with using a foiling technique and heat embossing. 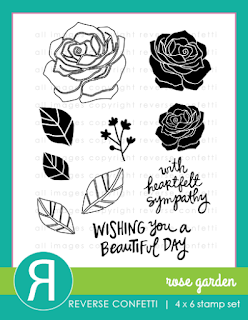 I got out my ROSE GARDEN and SENTIMENT ESSENTIALS stamp sets. I stamped several roses and leaves in Versamark in one corner of my card front and heat set it with black embossing powder. So very gorgeous! Next came the sentiment. I wanted to try out a foiling technique I had watched a video on to learn how to do and it worked! 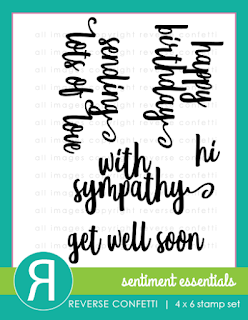 I stamped the sentiment in Versamark and heat set it in clear embossing powder. I placed the foil over this and put in inside a folded piece of copy paper. I then ran it through my cheapo depot laminator (picked up at Aldi for $15! ), and it made the foil stick to the embossing! Really shiny! 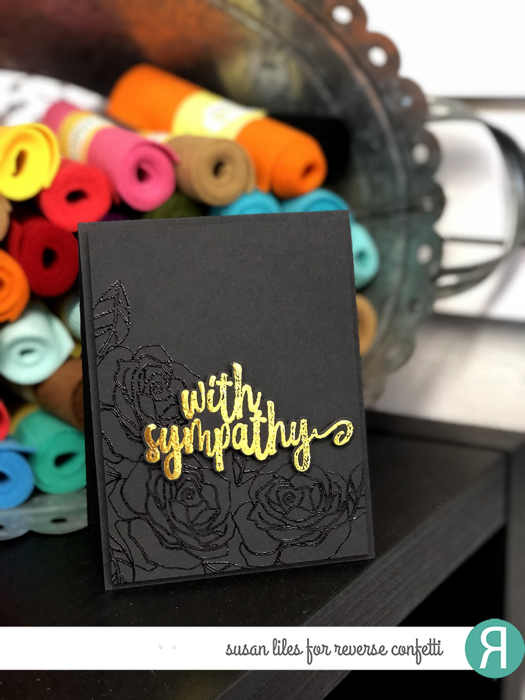 All I had left to do was to cut the sentiment using my SENTIMENT ESSENTIALS Confetti Cuts and pop it up onto my card front which I used pop dots on the entire piece to adhere to my card base also in black. 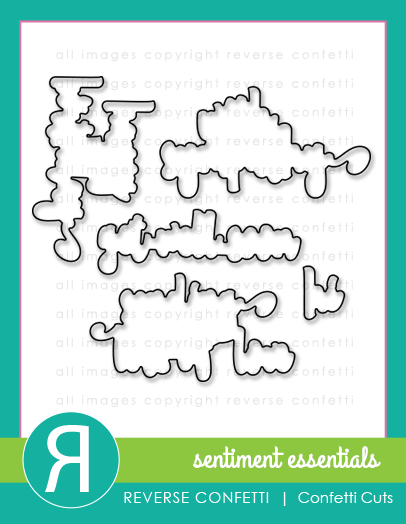 A very "quiet" card, but could easily be switched out with different colors and sentiments for any occasion.